Waiting to release “This is Gonna Hurt” (the first single taken from the new album which will be available during the next winter), metalcore crew Sharks In Your Mouth has revealed a cover version of Eminem’s international hit “Lose Yourself”. All members of our bands have hip-hop roots, and we wanted to express our love for one of the greatest artists of all the time by mixing up our style and a classic song like “Lose Yourself”. It was a challenge, because it’s not easy to transform a simple beat into a metalcore song and we hope that our fanbase and the rest of the audience will like our choice. As many of our followers know, our style on stage is dark, we have played every show since 2014 by painting our bodies in black, what we call our “war paint” – it’s a pre-show ritual for us. 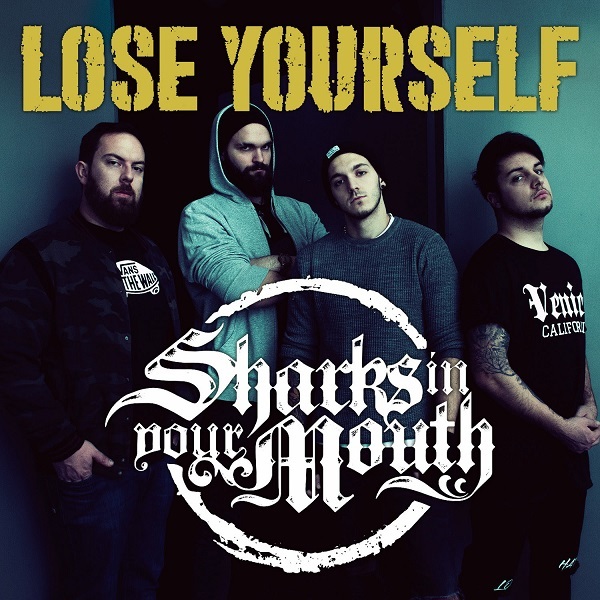 “Lose Yourself” is a different shade of Sharks In Your Mouth and it’s one of the funniest things that we have done since we started this band.